A Schnauzer I saw had what we call “visual seizures.” This little dog calmly sat in front of you, and then she’d duck her head for “incoming planes.” She saw the attackers approach, and she’d lower her head to avoid being hit, keeping her eyes on the “planes” as they scuttled past her. Her owners called this “incoming syndrome.” She was healthy in every way. Putting her on anti-convulsant therapy stopped it, confirming epilepsy. This disorder of the nervous system is characterized by loss of consciousness, perhaps punctuated with an obvious convulsion. Violent contortions of the body — seizures — are caused by involuntary contractions of the muscles. The Schnauzer would be considered epileptic because she had spontaneous brain activity that triggered her seizures. Another epileptic dog, this time a Basset Hound, would be walking and suddenly stop as if in a trance. After about 15 seconds, he’d walk on like nothing happened. It certainly wasn’t dramatic, but while this dog was having a seizure he couldn’t be moved and was unresponsive to any sound or prodding. Here’s another variation: a “chewing gum” seizure. Imagine a dog vigorously chewing gum. It can come on quickly like the previous example and stop just as suddenly. The key with all these dogs is that they had epilepsy, yet didn’t have the classic violent muscle contractions. The trigger for all these seizures, including the classic seizures, is the same. Epilepsy is characterized by outbursts of electrical activity scattering through the brain. Signals are propelled down the nerves, creating havoc in the body. Muscles spasm or contract repeatedly, in a staccato tempo. Veterinarians call epilepsy a diagnosis of exclusion. If we can’t find another disease to blame the seizures on, we call it epilepsy. Depending on where the electrical outburst is focused and how far it spreads, we can see the other symptoms. A limited outburst in the visual cortex might create the visual seizures the Schnauzer suffered from. Or, it might only affect the muscles that close the jaw. With epilepsy, the animal appears quite normal between seizures. This differentiates epilepsy from other disorders that plague the body and trigger seizures secondarily. Let’s look at some examples that show how a dog can have a seizure without a brain problem. Sometimes seizures are caused by illnesses or injuries rather than epilepsy. I once saw a little Shih Tzu who suddenly began having seizures at 10 years of age. Epileptics normally have their first seizure long before this. I suspected another disease, but the cause surprised us all: Blood tests revealed that the dog was severely anemic. That explained the seizures — there wasn’t enough oxygen getting to the brain. But, why was he anemic? The pathologist said that onions had destroyed the red blood cells! It turned out that the owner made her own dog food and, this time, for flavor, she added onions. The solution: After removing onions from his diet, he was just fine. 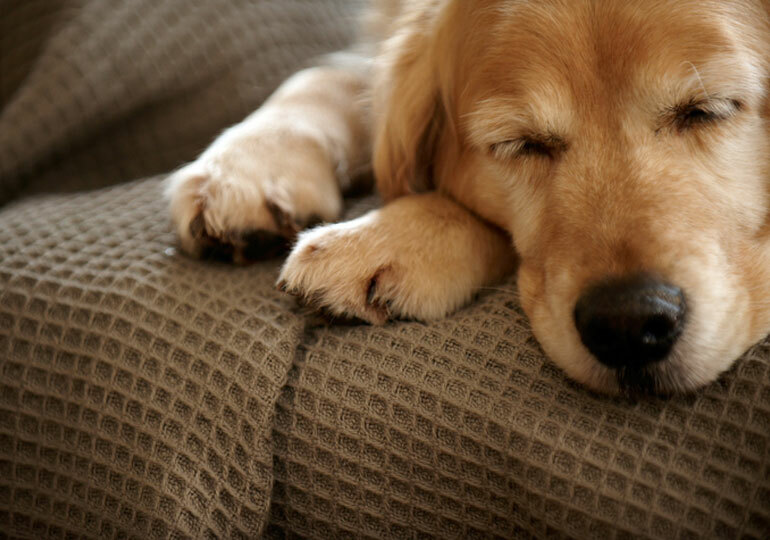 We can also see convulsions if a dog has liver or kidney disease. Blood tests also pin down these diseases. If the tests indicate no disease in the body, then we look at the head. A Pug came in seizing, and he was only two years old. He had no history of seizures, and now they were occurring one after another and were extremely severe. There were really only two possibilities. He could have been poisoned with something like slug bait or rodenticide, or he had a brain problem. It turned out to be the latter. This dog had life-threatening meningitis. This is a severe inflammatory condition affecting the brain. It is very difficult to treat. Another disease that can cause seizures is a brain tumor. For example, a patient of mine started having seizures at 12 years old. It turned out she had a malignant mammary tumor taken off a year earlier. An MRI showed the cancer had spread to the dog’s brain. If the veterinarian can’t identify any disease to account for the seizure, we then label the dog as epileptic and a decision has to be made to treat the condition. 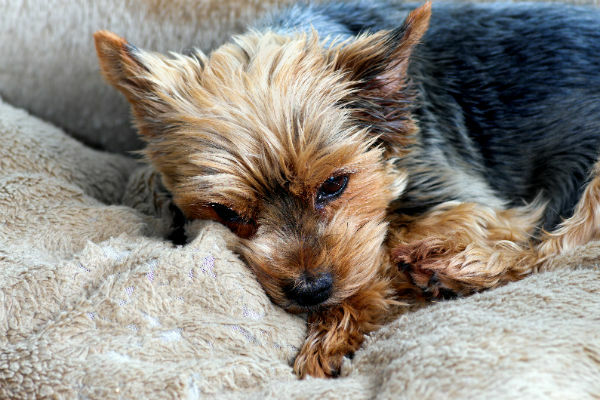 How Are Seizures in Dogs Treated? Generally, if a dog is having seizures more than once a month, most veterinarians suggest anti-convulsant therapy. The reason we may hesitate is because of the commitment (miss a dose and the dog may have a seizure), and the possible side effects of medication. They can have an adverse effect on the liver. Medications used include phenobarbital and potassium bromide. They are prescribed at a standard dose initially, but then adjusted based on response and any toxicity that may be detected. 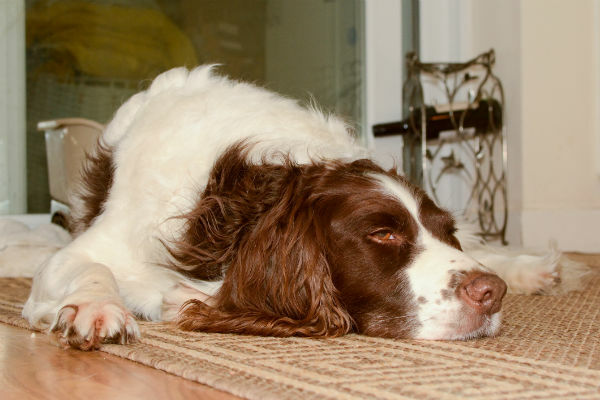 If you do see a single seizure in a dog, call your vet, but remember this: Chances are, you may never see another one. Keep yourself safe. Seizing dogs can bite without warning. Do not pull the tongue. Dogs don’t swallow their tongues. Using a hind leg, pull the dog away from furniture and stairs. Cover with a blanket to reduce the light, and turn down sources of sound. If the seizure continues, put an ice pack on the spine at the back of the ribs. For transport to the hospital, use a blanket like a hammock to keep the dog, and yourself, safe.